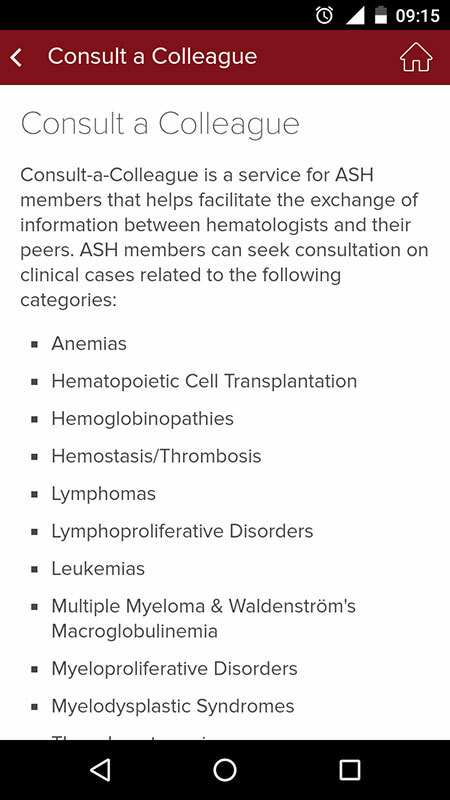 Founded in 1958, the American Society of Hematology (ASH) is the world's largest professional society serving clinicians and scientists worldwide who are working to conquer blood disorders and diseases. The Society's mission is to expand the knowledge about the diagnosis, treatment, and prevention of disorders affecting the blood, bone marrow, as well as the immunologic, hemostatic and vascular systems, by promoting research, clinical care, education, and advocacy in hematology. 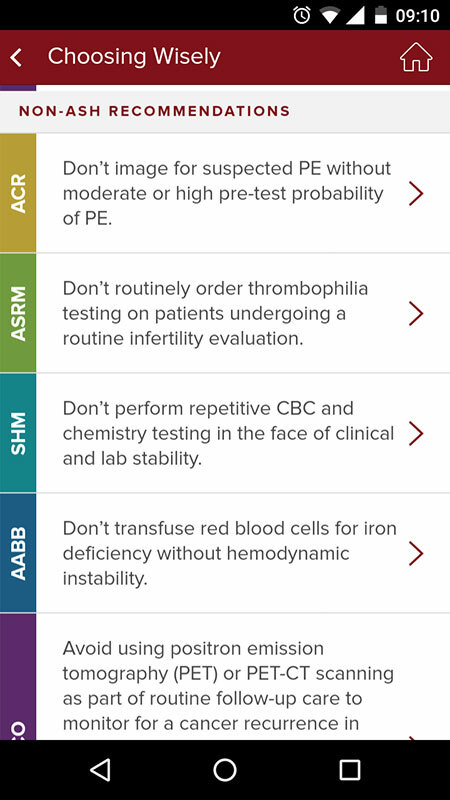 The Society offers a wide array of products and services for clinicians, scientists, and educators at any stage in their careers, including the evidence-based clinical practice guidelines that the ASH develops and publishes to help practicing hematologists and other clinicians improve the quality of patient care. 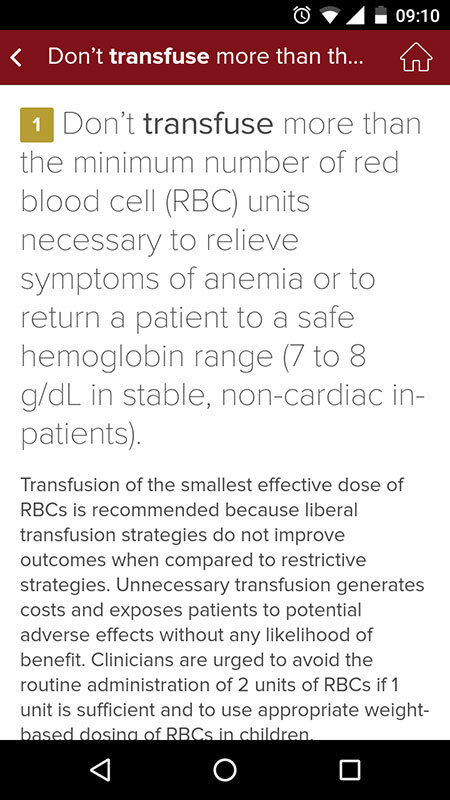 These clinical guidelines are available as a series of brief, evidence-based pocket guides which cover such topics as sickle cell disease, thrombocytopenia, red blood cell transfusion, anticoagulant dosing and management, leukemia, and more. 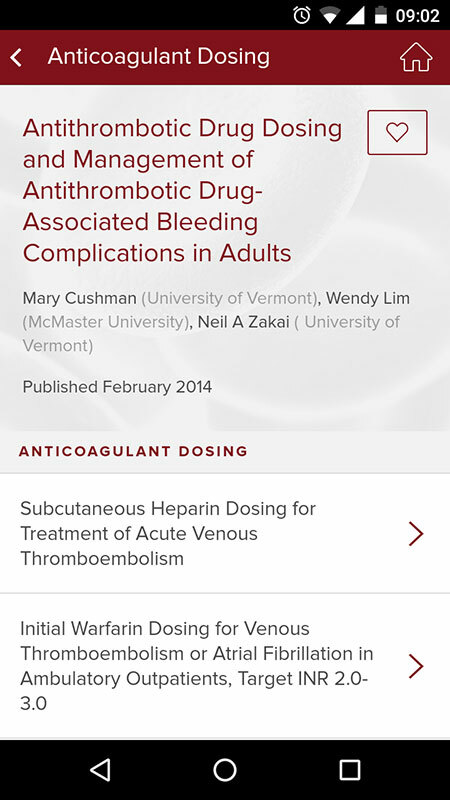 The ASH pocket guides are available as a mobile-friendly website and as PDF documents that clinicians and researchers can download for offline use. 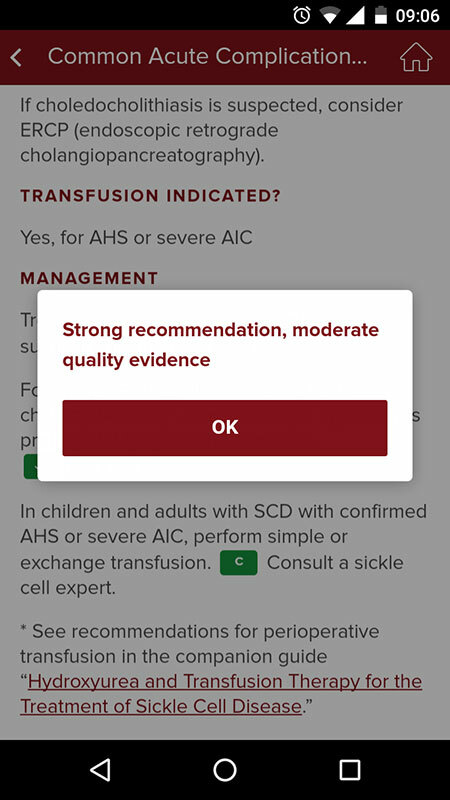 Knowing that mobile devices and health-related apps offer many benefits to health-care providers, including more efficient clinical decision-support and quick access to clinical resources and educational materials, the ASH made their pocket guides available as a free as a mobile app for iOS and Android devices. 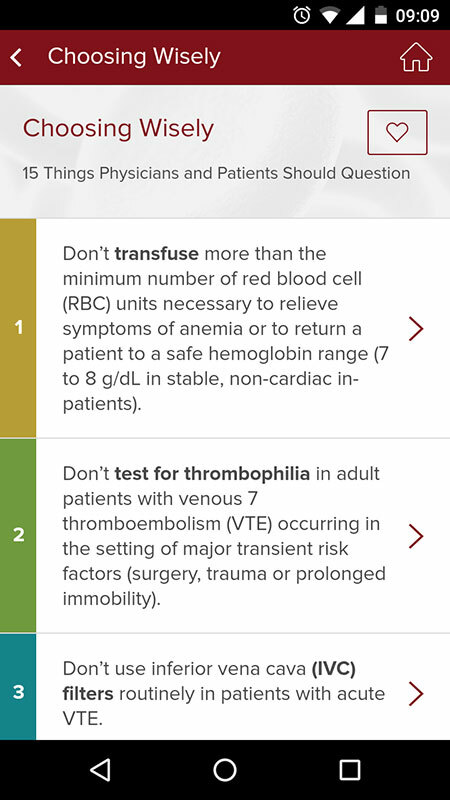 The ASH Pocket Guides app gathers all eleven of these pocket guides into one resource, helping primary care providers and hematologists more conveniently diagnose and manage a variety of blood-related conditions from their mobile devices. 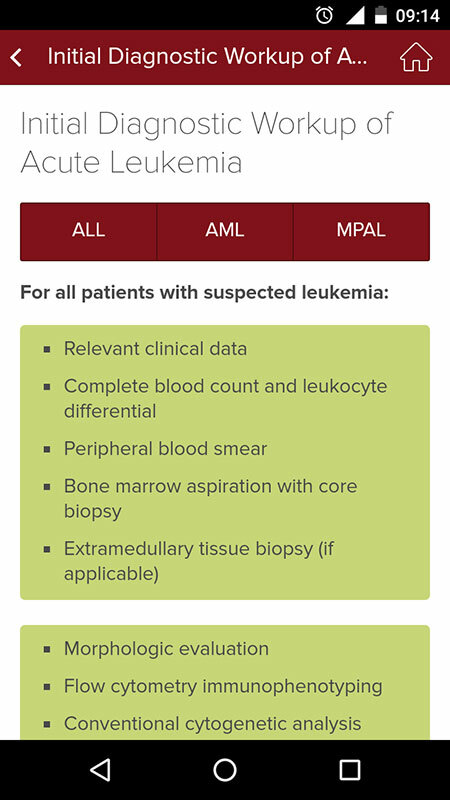 The app allows clinicians to view details and recommendations about specific hematologic conditions, and access calculators and decision trees for various standard procedures. 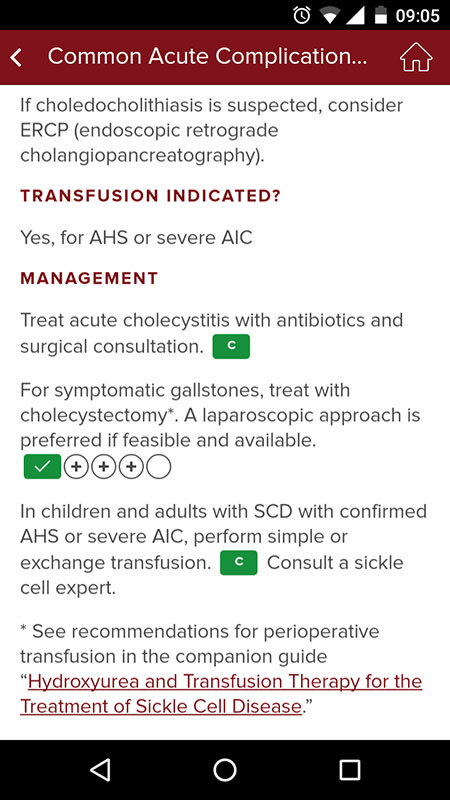 The ASH Pocket Guides app opens to the Home screen that features guidelines and information on several key hematology conditions, including acute leukemia, anticoagulant dosing, red blood cell transfusion sickle cell disease, thrombocytopenia, monoclonal gammopathy, and von Willebrand disease. 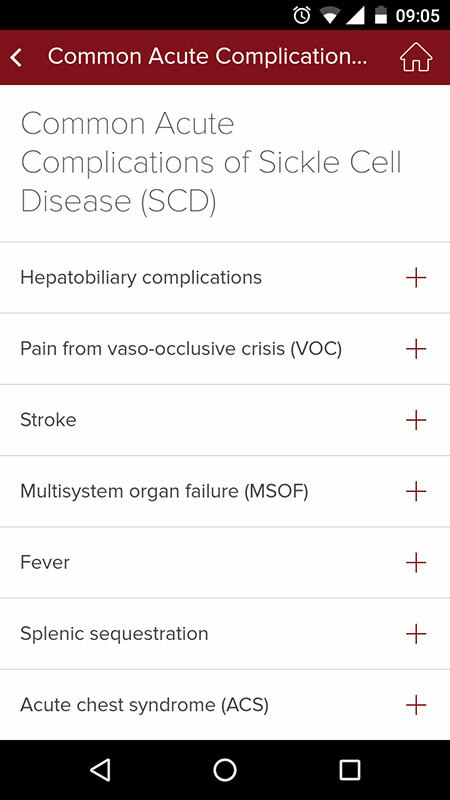 The sickle cell disease and thrombocytopenia contain several topics grouped in subcategories. 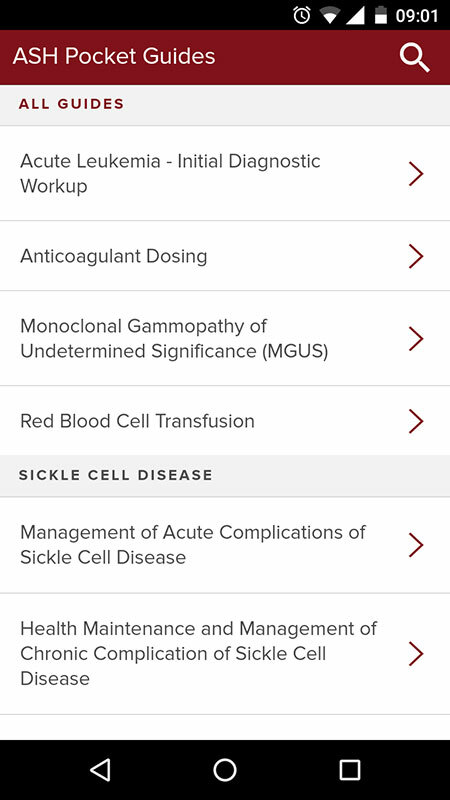 The subcategory on sickle cell disease provides guidelines and information about acute and chronic complications of sickle cell disease, as well as info on hydroxyurea and transfusion therapy for the treatment of sickle cell disease. 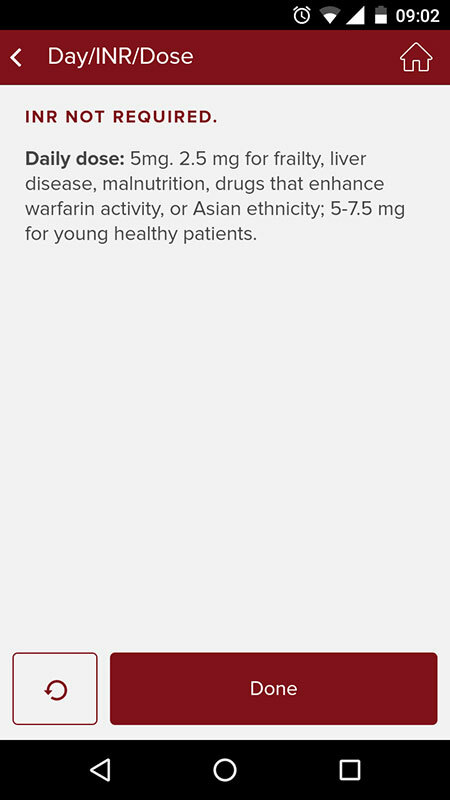 The thrombocytopenia subcategory contains separate information about heparin-induced thrombocytopenia (HIT), immune thrombocytopenia (ITP), and thrombocytopenia in pregnancy. 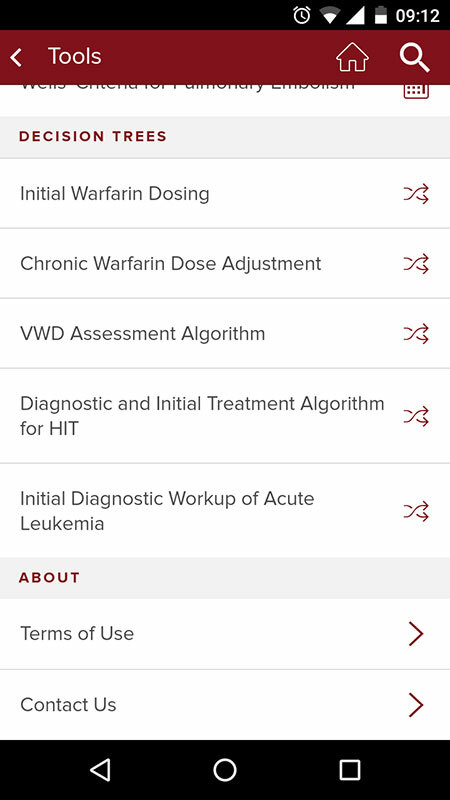 Upon choosing a specific topic from the Home Page, the app provides information which is broken down into further subcategories (for some topics) that contain clinical definitions, disease descriptions, history and physical examinations, presentation, risk factors, management, including the administration of drugs and treatment procedures, and more. The information about each condition is provided in a clear and readable format which is easy to navigate. 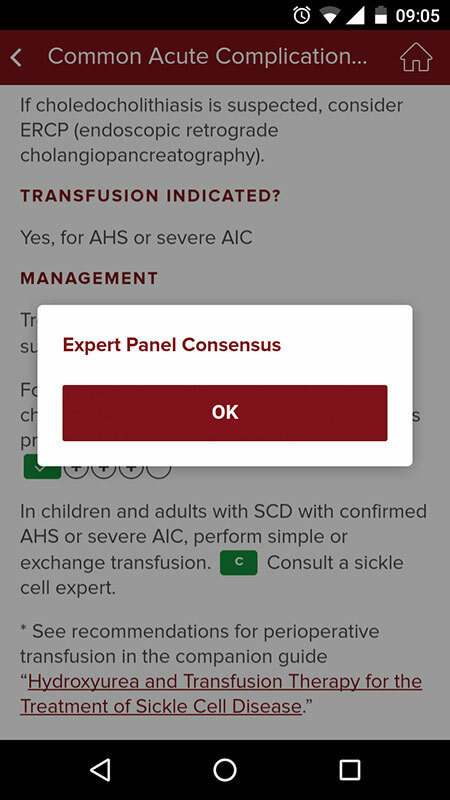 A notable feature is the level of consensus reached amongst the expert panels for each expert recommendation, which is clearly marked with green C and green check mark with plus symbols whose number indicates the quality of evidence for a particular recommendation. 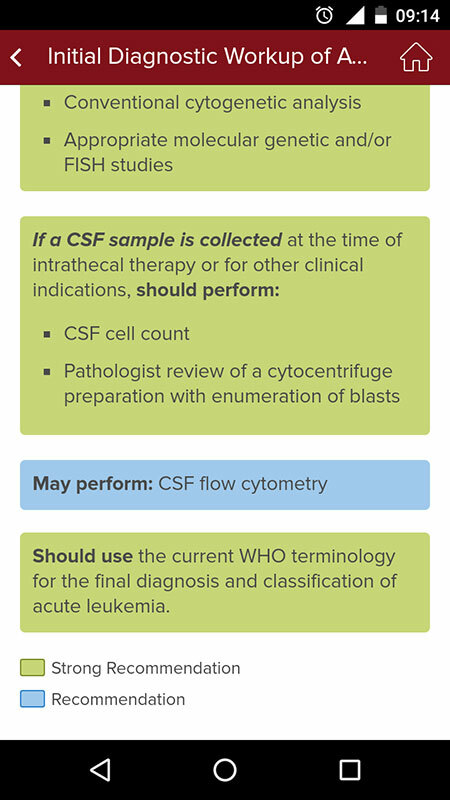 Information about each condition is well-referenced with high detail about sources used. 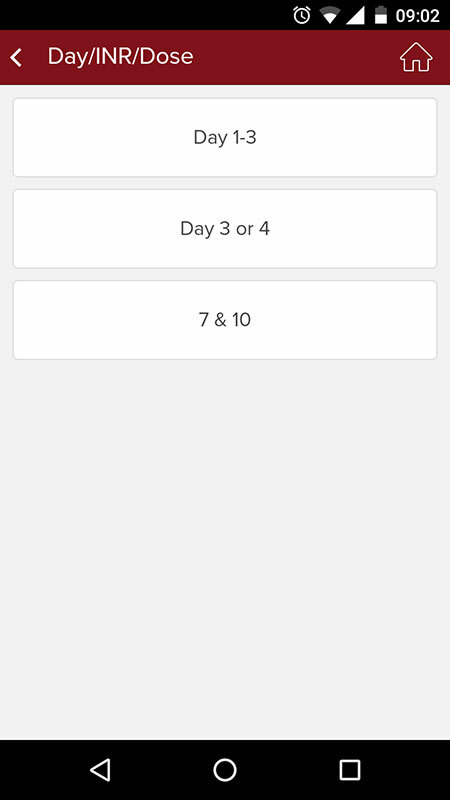 Providers can also tap on the heart icon to place particular pocket guides or tools into Favorites section on the top of the list for quicker access. 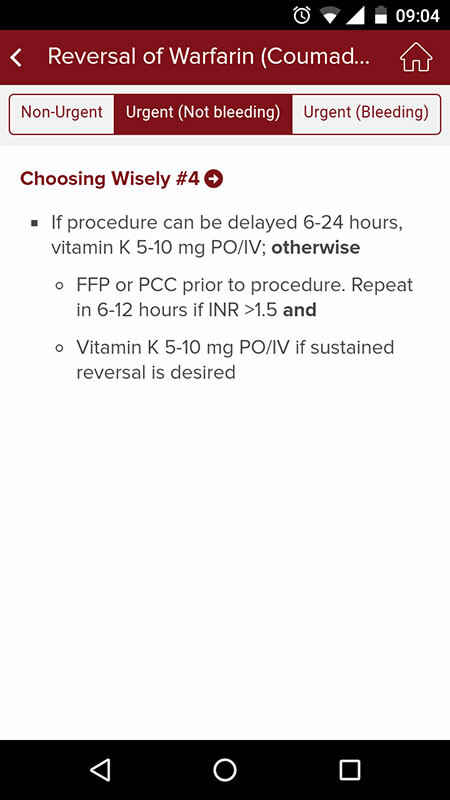 Besides key hematologic conditions, the ASH Pocket Guides app provides the 'Choosing Wisely' section with 15 things physicians and patients should question. 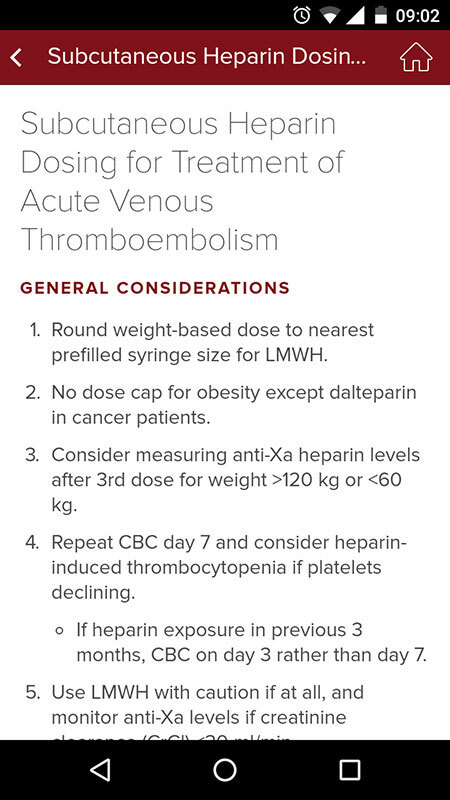 These include warnings and recommendations regarding the management of hematologic conditions coming from the ASH and other sources. 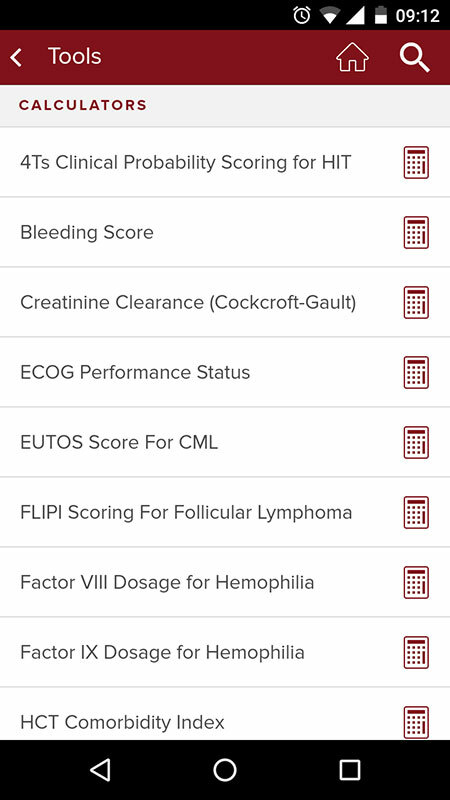 The Tools category contains 22 clinical tools, including 17 medical calculators and 5 decision trees. 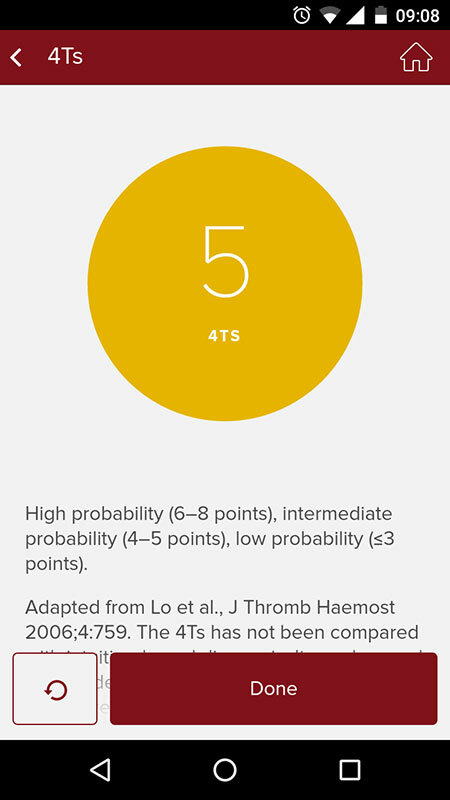 The calculators include 4Ts Clinical Probability Scoring for HIT, Bleeding Score, Creatinine Clearance, factors for hemophilia, Wells' Criteria for DVT, and more. 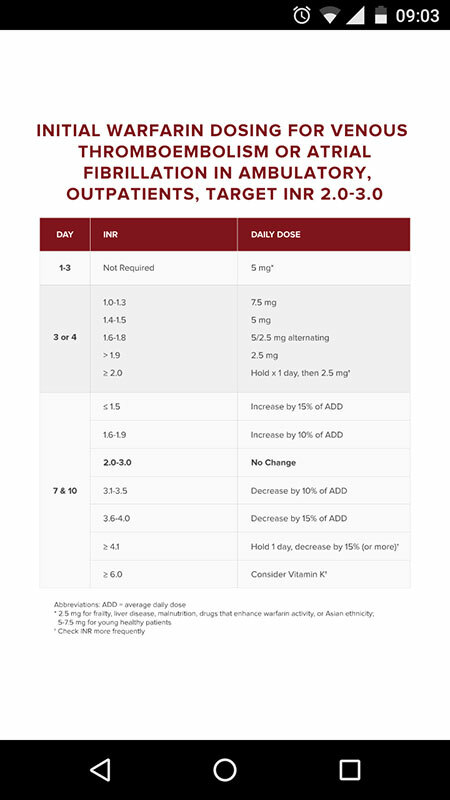 The 5 decision trees cover Initial Warfarin Dosing, Chronic Warfarin Dose Adjustment, VWD Assessment Algorithm, Diagnostic and Initial Treatment Algorithm for HIT, and Initial Diagnostic Workup of Acute Leukemia. 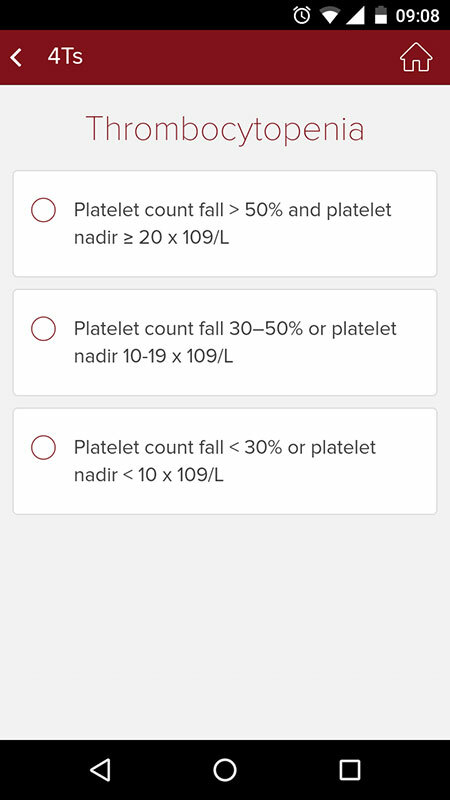 The calculations are tailored based on the answers provided for a series of questions on the clinical presentation of a patient. 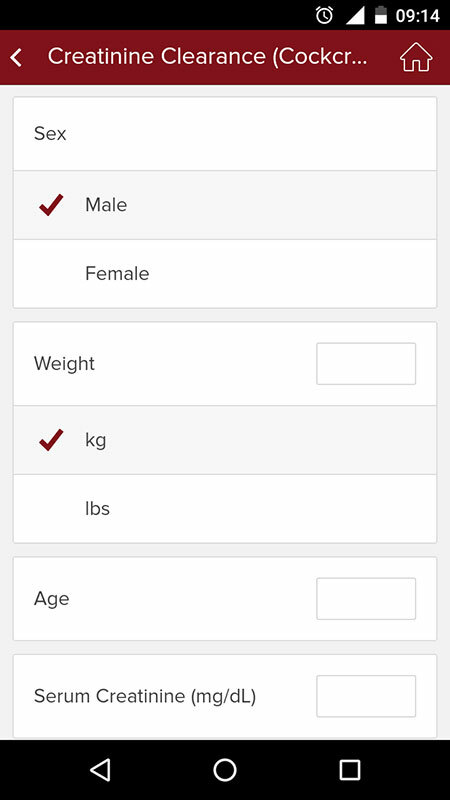 The calculators are intuitive and easy to follow. 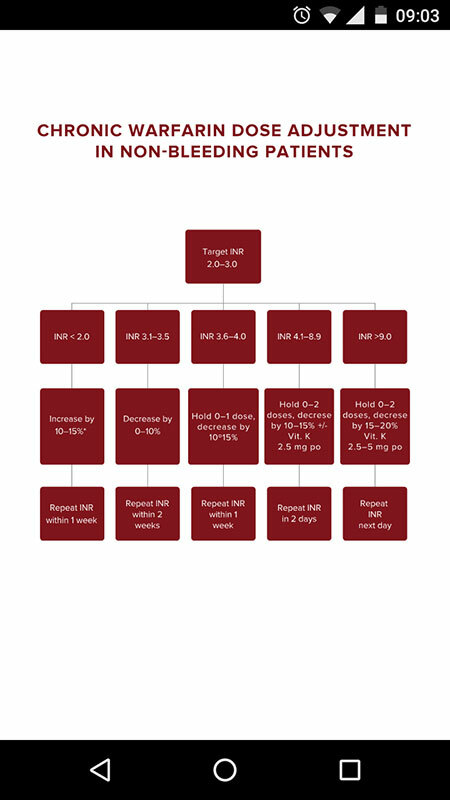 On the contrary, the decision trees provide information displayed on the charts. 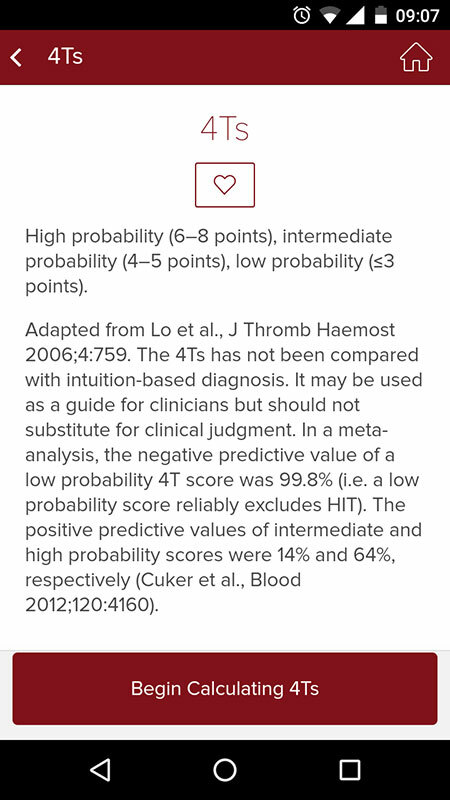 Besides 'Tools' category, clinical calculators and decision trees are also available separately in the recommendation categories for different conditions. 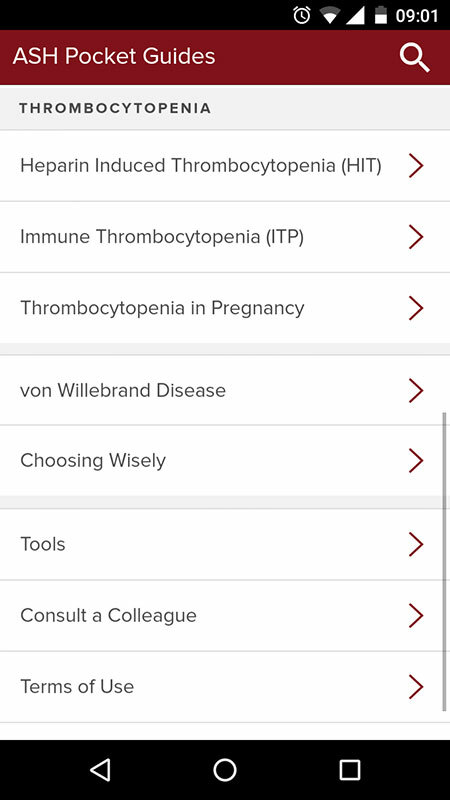 Another useful feature in the ASH Pocket Guide app is 'Consult a Colleague' - a service for the ASH members that helps facilitate the exchange of information between clinicians who can use it to discuss various hematology clinical cases with their peers. 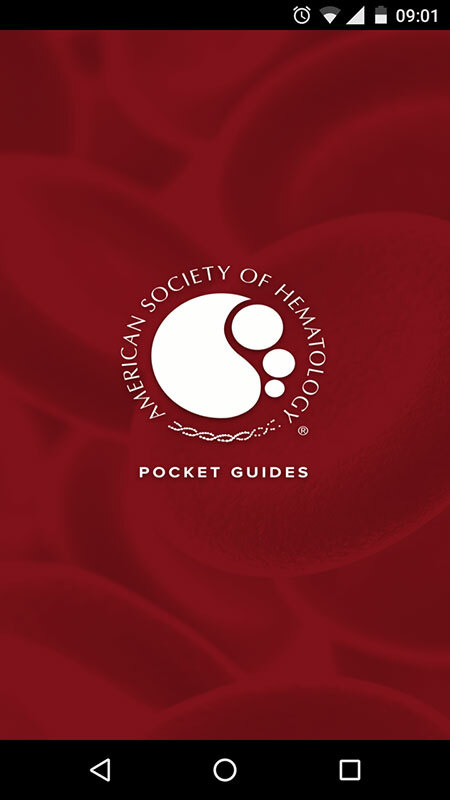 Overall, the ASH Pocket Guides is an amazing and comprehensive guide on various hematologic conditions with an information presented in a clear and legible fashion that is easy to use at the point of care. 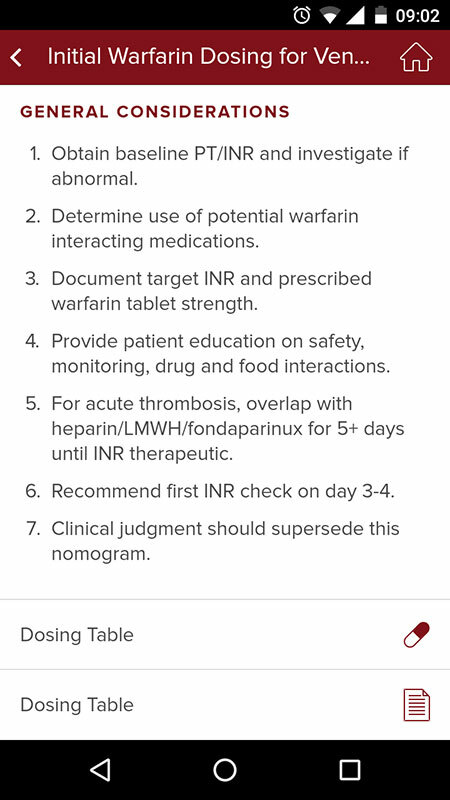 It is a "must have" app for all hematology practitioners who want quick access to authoritative and current clinical guidelines and tools. Important notification about information and brand names used in this review!